About 9 months ago, I bought a new set of speakers for my PC called Exclaim E10BT from Edifier. They sound superb and they have a very small footprint. Both of those features were equally important to me when I was searching for a set of speakers. However, it has a feature that I didn't really want or use, but it has started causing me a lot of inconvenience. That is BlueTooth connectivity. You can connect to it from your phone and play back music via BlueTooth. It sounds like a handy feature to have. But it doesn't ask for a key to input when you connect to the speakers. Anyone with a BlueTooth device can connect to it. This would not be a problem if you were living in a big house. But I am currently living in an apartment and there are other people living near me. Someone has paired their TV or device to my speakers. Every now and then, they would connect to my speakers and I would start hearing nonsense through the speakers. There is no way I can disable BlueTooth on these speakers. The manual doesn't have any information relevant to my issue. However, I figured that I might be able to do something about it. When the speakers are connected to a device via BlueTooth, another device cannot automatically override it. You have to terminate the existing connection by pressing the power button on the speakers, and then try to connect. So, if something from my end can connect to the speakers before that other pesky TV does, at least I have the control. Luckily, my desktop PC which the speakers are connected to, has support for BlueTooth. So, that device on my end can be the desktop PC. I connected the desktop PC to the speakers via BlueTooth and observed its behaviour. If I turn on the PC now, it will boot into Windows and automatically connect to the speakers via BlueTooth. This is awesome. If I turn on the speakers now, it will automatically connect to the PC. Double awesome! I was concerned about what would happen if I switch to the wired mode (by pressing the power button once). When this happens, it gives anyone else the opportunity to connect to the speakers. If I connect back to BlueTooth, then it wouldn't be a problem. However, I couldn't find a straightforward way to do this. The speakers won't automatically go back to BlueTooth mode just because the device it was paired with it available. You have to manually connect to the speakers from the device. Windows Settings does not have a function to manually connect to the speakers. 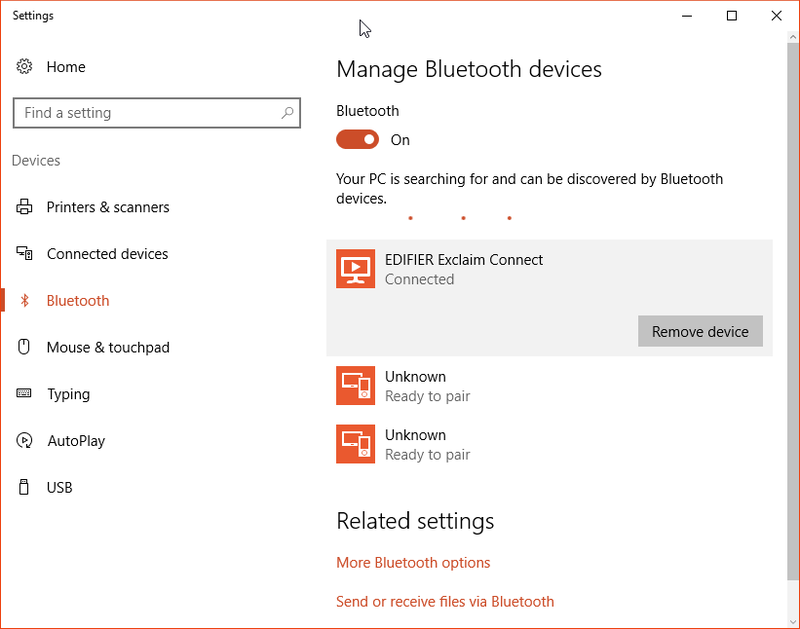 You have to turn off BlueTooth altogether and turn it back on, then the PC will automatically connect to the speakers. My wife won't be able to do this. The easier option would be to turn off the speakers and turn them back on. Then the speakers will automatically connect to the PC. So, for the time being, this problem is gone. It might come out in a way that I didn't expect though.